CFA’s film collections contain many one-of-a-kind titles across most genres that have never been publicly screened. We offer rentals of prints at a cost of $100 for shorts and $250 for feature length films. Each rental must come with an agreement that guarantees that only skilled film projectionists who work with appropriate projection equipment will handle the films. We also offer screening rentals of DVDs and/or digital files at a cost of $50 for shorts and $100 for feature length films. 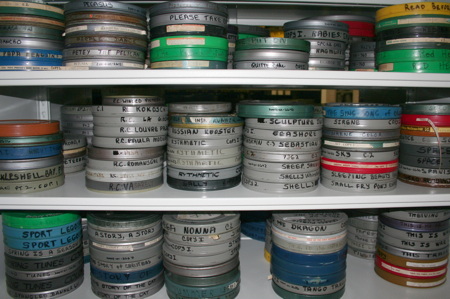 CFA has the rights to many of the films in the collections. You can purchase many of these films transferred to DVD at $50/title (home use) or $100/title (institutional use). All shipping charges, wire transfer fees and supply costs handled by customers.